Recently Google has announced that the mobile friendly websites to rank better in mobile search.In other words, it means that the not mobile friendly sites will be downgraded. Responsive web design (RWD) is an approach to web design aimed at crafting sites to provide an optimal viewing and interaction experience—reader friendly, easy to navigate with a minimum panning or scrolling—across a wide range of screen types (from PCs & Laptops, Tablets and smart phones). RWD is becoming ever more important as the amount of mobile traffic now accounts for more than half of total internet traffic. 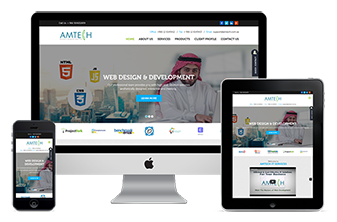 Let us create your new site or upgrade your existing website in responsive design lest your business lag behind.